The Guatemala Mining Explorations (Exmingua) threatens today with filing a lawsuit against Guatemala after being forced to suspend operations by decree of the Constitutional Court (CC). 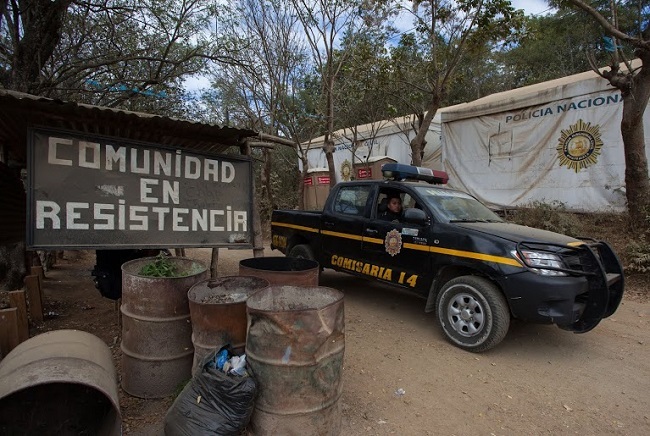 The decree entered into force since February 22 because the company violated the right of consultation of indigenous communities in 2011, however, the company disregarded the ruling and continued its operations in the mine Progreso VII Derivada, known as La Puya. Then, the prosecution raided the place and found 74 sacks, each one filled with 1000 kilograms of precious metals and several archaeological pieces probably found during excavations at the site. Despite that, the subsidiary of the Canadian firm Radius Exploration Ltd., headquartered on US soil, could invoke the provisions of the Free Trade Agreement between Central America, Dominican Republic and the United States (DR-CAFTA), the Association for Promotion of Freedom and Sustainable Development warned. The vice president of the American Chamber of Commerce of Guatemala (AmCham), Juan Pablo Carrasco, stressed that the company could start an arbitration process against Guatemala because the country granted licenses for investing. Exmingua’s lawyer, Arturo Miranda, says that his company lost USD 360 million due to the suspension of the exploration and exploitation license in La Puya. The cessation of operations and settlement paid to 300 employees, among other expenses, led to the loss of the mentioned amount of money after the CC decided to temporary suspension of operations in the mines and rejected the appeal made by Exmingua and the Ministry of Energy and Mines.